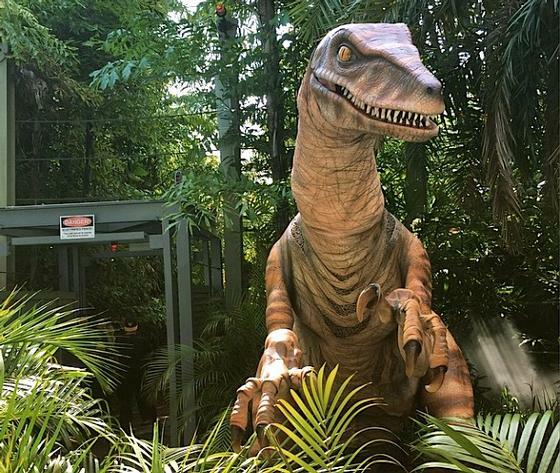 Raptor Encounter is a animatronic show in Jurassic Park at Universal's Islands of Adventure. While it's not the best, it is also recommended. A meet and greet photo opportunity with this animated raptor. It's only a photo shoot, but it was better than I thought it was going to be. The raptor is very real looking, and moves like a real animal. They do a good job giving you a good scare! Amazing meet and greet with a lifelike animatronic raptor! Get someone to take a video, not just pics!